Kids & Art provides healing art workshops to pediatric cancer families free of charge with a primarily volunteer team. Here's how you can help spread awareness about Childhood Cancer Awareness Month and support our efforts to improve the well being of children who currently have cancer, as well as that of their care circles. 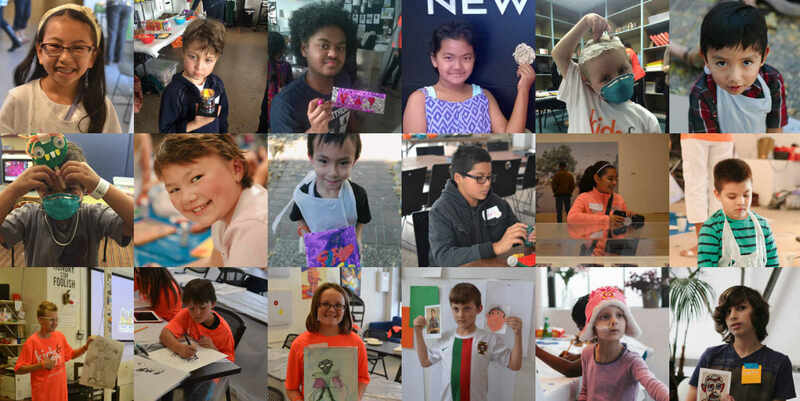 Kids & Art is a San Francisco Bay Area non-profit that provides healing art workshops to pediatric cancer families free of charge with a primarily volunteer team. Every day, 43 children in the US are diagnosed with a childhood cancer like leukemia. Once diagnosed, everyday life is turned upside down for the child and their family. Studies show arts and creative expression improve the well-being of cancer patients and their care circles. We have been lucky to have so many talented artists take the time from their busy schedules and share three to four hours of their time and creativity for our cause. When we decided to start Kids & Art, we reached out to five artists. As the word spread in the community we had many more artists eager to join our venture.The group grew from there and now we have more than 150 artists participating and creating art with children. Your donations help provide free art workshops to families touched by cancer, fund artist stipends, art supplies, and book unique art experiences. We are so grateful for the generosity of our community, and every donation helps. We spend your dollars wisely uplifting the spirit of families while their children are undergoing cancer treatment. We are on Benevity, you can find us by looking for - Kids & Art Foundation - 840-271415727. Company matching can double your impact.